At this point in time it is not possible, on Windows, to copy / paste from the Manage Themes dialog. 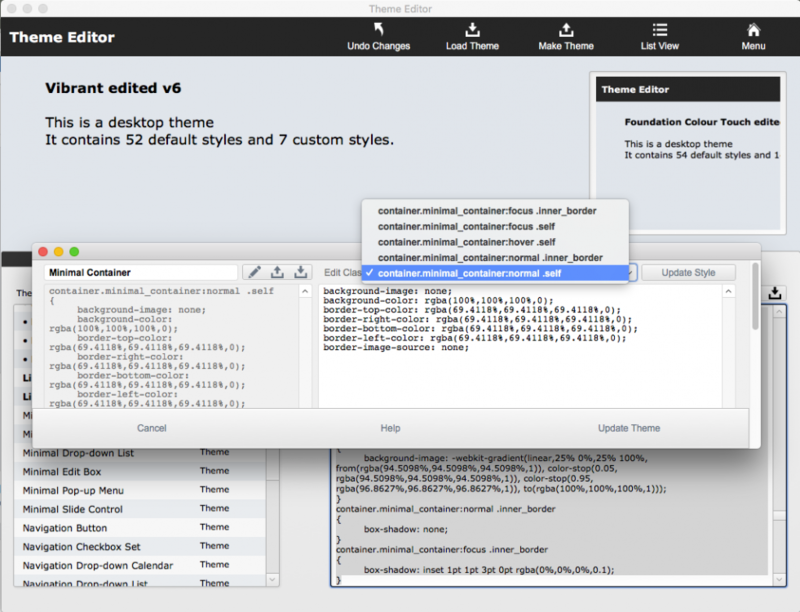 This is a limitation of the FileMaker product on Windows but it means that Theme Editor is, presently, only useful on Mac OS X. 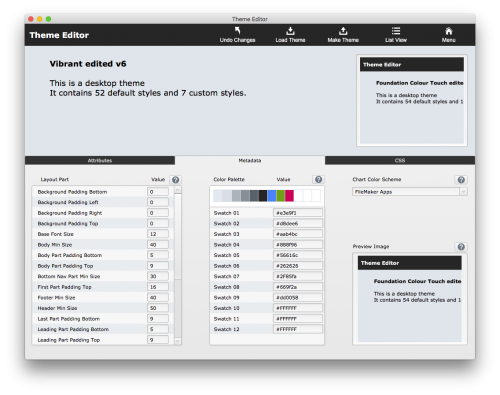 Theme Editor allows you to control all of the elements of a theme. It is designed to overcome the limits placed on us by the built-in editing tools for themes. It is now possible, for instance, to do a bulk replace of a font-family. Allowing you to be positive that all objects will use the same fonts. It also opens up elements that could not be modified at all. You can control the size and placement of layout parts; the default chart theme; your color palette selections and the preview image. Having new layouts and parts added at the right size is a huge time-saver and a pleasure. 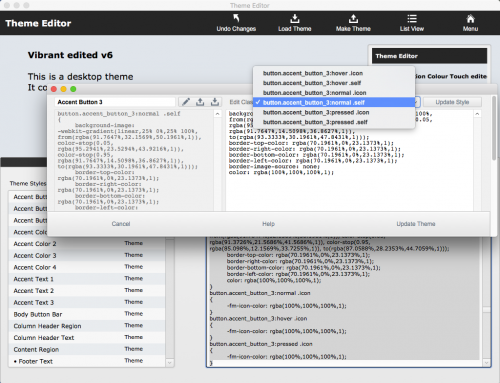 Theme Editor allows you to store themes (it's a FileMaker database) and to generate Themes as required. If you have got the CSS licks to do so, you could use Theme Editor to create a theme from scratch. We hope that future version of FileMaker will include all of these abilities. Until then, you can enjoy using Theme Editor to manage this for you.